At this stage in my gastronomical adventures, I'm not a huge fan of Dine Out. No, I'm not being a food snob or anything. It's just that I've had some pretty underwhelming experiences in the past. The main problem is that some restaurants choose to meet the price points by offering food that is not truly representative of their regular menu. Hence, it does not give a clear overall picture which then in turns defeats the purpose of Dine Out in the first place. I find the whole event becoming watered-down. Now, that is not to say that there are no diamonds in the rough to be found. Seeing how I eat enough as it is, I wasn't planning to do Dine Out this year. 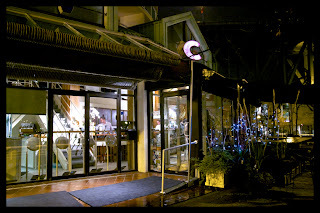 However, I was contacted by C Restaurant to try their Dine Out menu. Okay, I was conflicted. First, do I go back on my original plan and actually do a Dine Out meal? And secondly, the rating for C Restaurant on Urbanspoon can be only described as horrible. What to do? A little more information gathering led me to the conclusion that C would be worth trying since they traditionally have good Dine Out menus and the rating on Urbanspoon is a bit misleading. Furthermore, Chef Robert Clark is back in the kitchen since Lee Humphries is away for a few weeks. Others invited to the meal were Melody, Joyce, Diana, Stephanie and Alvin (who I have to credit for the picture of the restaurant). 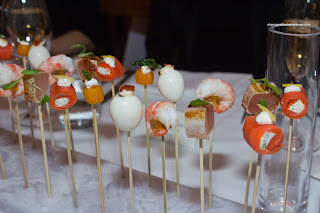 We started with an Amuse Bouche which included (from right to left) Smoked Salmon Cannelloni stuffed with goat cheese topped with creme fraiche and preserved lemon, Seared Tuna, Spot Prawn, Quail's Egg topped with truffle aioli and crispy bacon and Golden Beet. My favourite had to be the quail's egg (since I love eggs!) because it was poached perfectly with a runny yolk. Furthermore, the truffle aioli and bacon combined put a mouthful of flavours in one little bite. 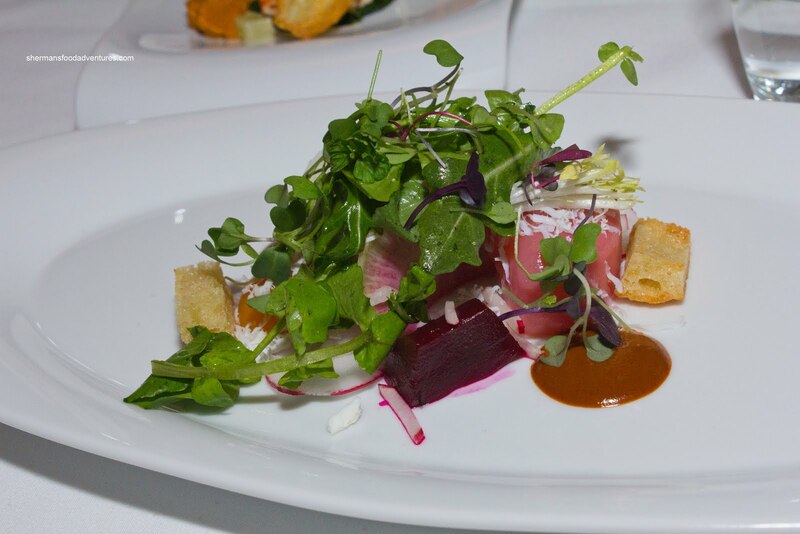 Our first official course was the North Arm Farms Beet Panzanella Salad served with harissa dressing and shaved ricotto salata. I really liked the beets as they were soft while still retaining some firmness. Loved the harissa dressing as it added an ethnic taste to the salad. I wasn't particularly fond of the croutons as they had a fairly hard, yet not crunchy texture. The Dine Out menu at C Restaurant has a few supplemental courses if one wishes to add for an extra charge. One of these is the Sauteed Spot Prawns with kale, chilli, lime and romesco sauce. 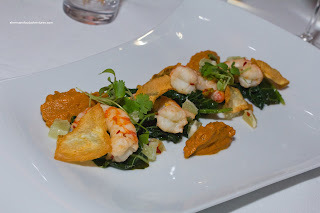 This was a nice plate of food consisting of perfectly cooked spot prawns, just barely-cooked kale and a flavourful sauce. The romesco exhibited its classic nutty texture and with this version had a real acidity to it. A nice counterbalance to the sweet prawns (if used sparingly). Next up was the second course consisting of Seared Albacore Tuna with Winter minestrone, Parmesan pistou and crisp basil. As evidenced in the picture, the tuna was seared ever-so-lightly and served mostly rare. 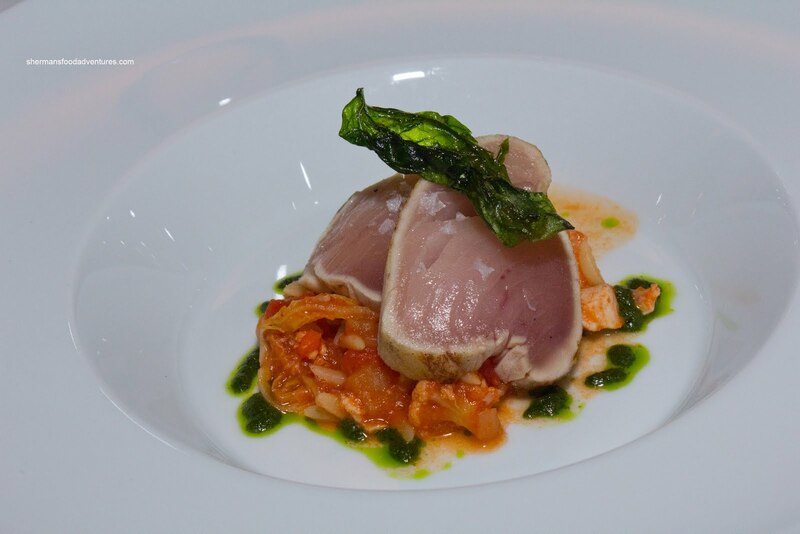 That allowed the natura l sweetness of the tuna to shine as well as keeping the texture light. The sprinkle of salt really intensified the delicate tuna. I thought the minestrone underneath was done nicely with some crunch and tartness. The droplets of basil added some herbal qualities to the dish. 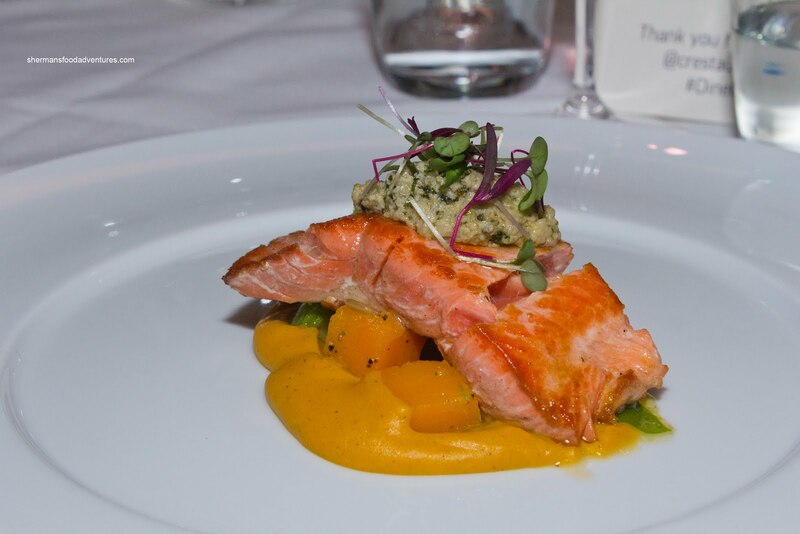 Our third course, the Seared Lake Babine Salmon continued on with the fish theme. 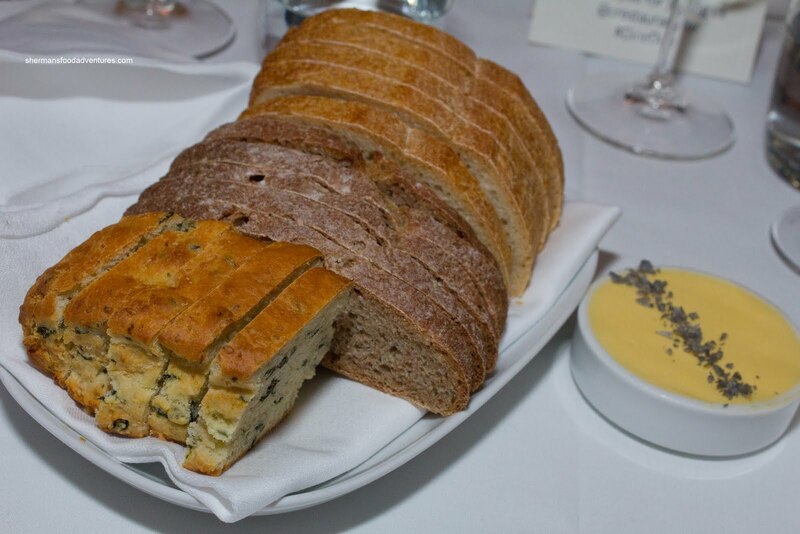 It was served on a bed of squash puree and topped with an almond tapenade. The fish was beautifully prepared being moist, sweet and slightly rare in the middle. Loved the even sear on the outside. The squash puree was smooth and mild while it int ermingled with the cubes of squash and firm brussel sprouts. The real surprise of the dish was the almond tapenade on top. It provided both texture and acidity. The optional supplement for the salmon was the Roasted Beef Tenderloin. It was served with a walnut polenta, tarragon butter and confit of portabello mushrooms. 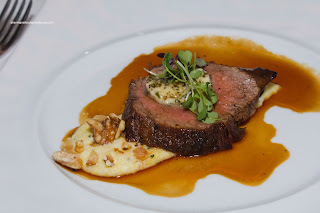 I absolutely loved the demi-glace as it was silky and luxurious. The tenderloin was meaty and exhibited a deep roasted flavour. I really wish this was a bigger portion. Lastly, for dessert, we were served a Spiced Chocola te Pudding with vanilla Chantilly and caramel puffed rice. I liked their spin on the pudding with the Asian spices. It almost felt like there was five-spice in the pudding (well, not really but you get the idea). 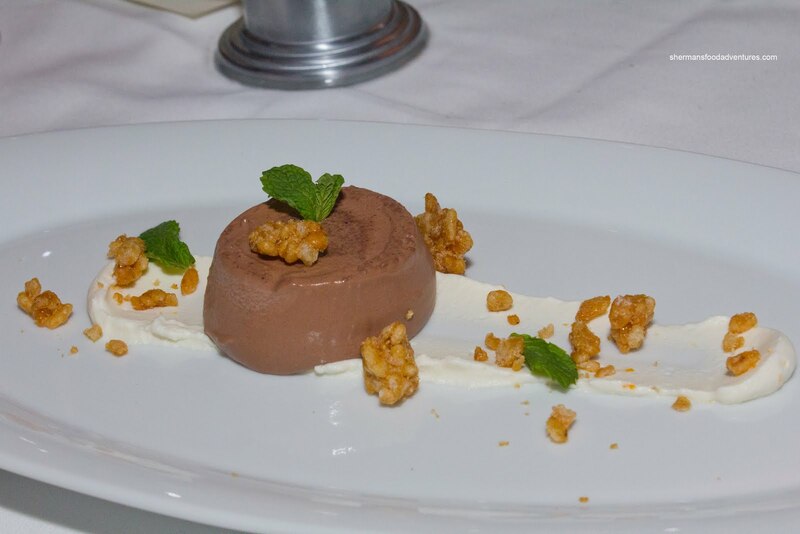 The crunch of the sweet puffed rice added the necessary texture to the smooth pudding. And as a final treat, a plate of Lemon Poppyseed Biscotti with a side of candied ginger arrived at our table. These were crunchy and we could not mistake what they were made of - buttery and a good lemon hit. 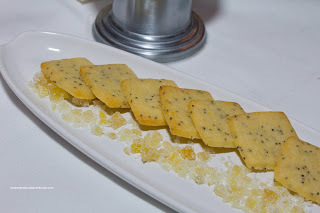 Loved the candied ginger on the side. I gotta admit that this Dine Out meal was a whole lot better than I expected it to be (and it is not because it was comped either). I can't comment on the service (as much as it was good) because it was a media dinner. However, if one was to start adding the supplemental dishes, the cost of the meal would go North of $70.00 in a hurry. Furthermore, if one was to look at the basic $38.00 menu without additions, it is predominantly comprised of fish and would leave individuals with bigger appetites longing for more food. Now, that is not to say that the $38.00 menu is not a good value. 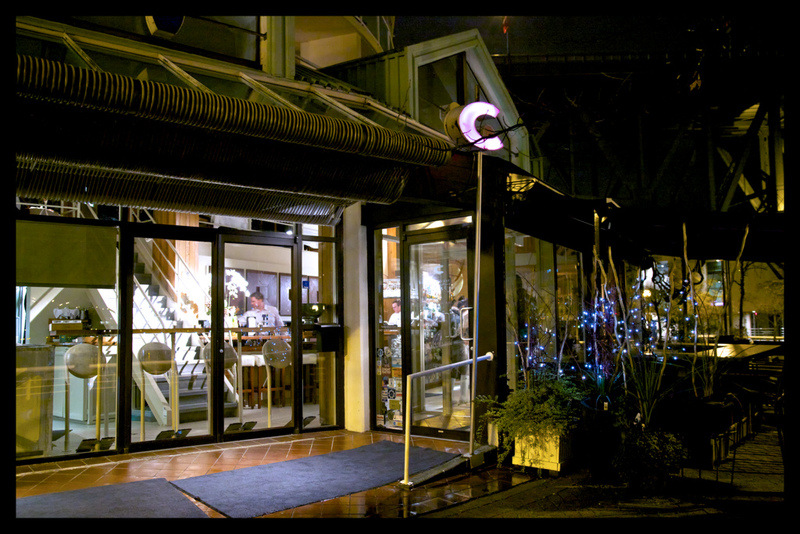 Consideri ng the raw materials, the venue and the fact Robert Clarke is cooking in the kitchen, it is quite reasonable. This is fine dining folks, not a buffet. That is probably why I don't get too excited about Dine Out these days. Considering the quality of food I got at C Restaurant, I'd definitely return and would much rather order off their regular menu gladly paying the extra cost for more food. @Jenny Typically, you can poached an egg in its shell in an immersion circulator at a very low heat. Yes, the appies did look good!